Transitions Drivewear non-prescription lenses are made of lightweight and high impact resistant Trilogy material with anti-reflective back surface coating to minimise distracting reflections. 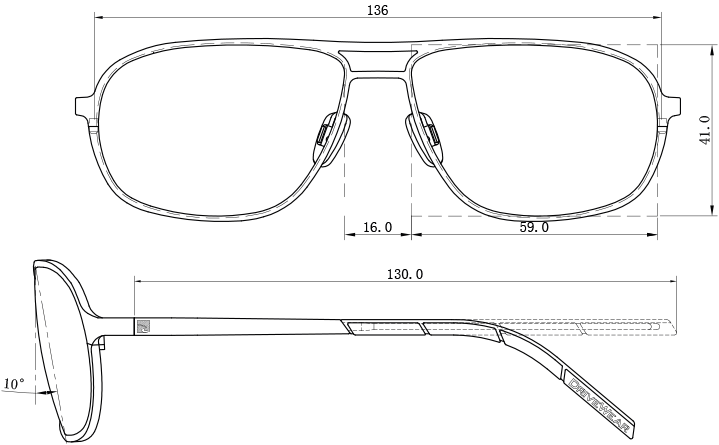 The lenses feature 100% UV blockage. The high quality and durable optical frame was developed in partnership with German designers and Japanese luxury frame manufacturers to create a high quality frame in colours that align harmoniously with the Transitions Drivewear lens colours. Model Cityscaper is made of lightweight stainless steel and is available in two colours: matt gold/brown and matt gun/grey. Need Transitions Drivewear sunglasses in your prescription? Want Transitions Drivewear lenses in your own frame?